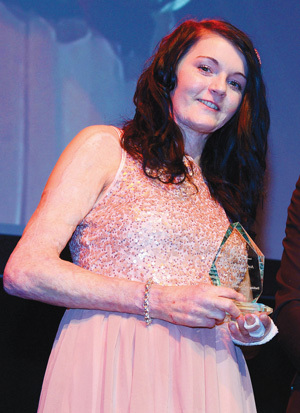 Barking and Dagenham College student Vicky Knight, who set up a charity for burns victims after being horrifically injured in an arson attack, has been named the Association of Colleges student of the year. The 18-year-old was honoured at the association’s annual conference for launching Scar Quality to offer help, counselling and makeovers for young people dealing with injuries like hers. Vicky was caught up in an arson attack on her parents’ pub when she was eight years old. It left her with 33 per cent burns and low self-esteem. She is now studying health and social care and featured in FE Week when she first set up the charity back in February. “It’s been slow progress, but it’s been good,” said Vicky, who has been in hospital seven times this year after damaged tissue in her hand became infected. However, award judges noted how Vicky impressed tutors by requesting a laptop so she could continue her college and charity work from hospital, including planning a fundraising Christmas party. “We’ve had people coming and saying they want to get involved,” she said. Warwickshire College student Luca Frondella, also 18, got second prize. Despite dyslexia, he achieved three starred distinctions in his level three BTec in 3D design. Kieran Beavis, 19 and from South Gloucester and Stroud College, came third. He struggled with behavioural issues, before discovering his love of performing arts, through helping out with a performing arts course for adults with learning and physical difficulties. 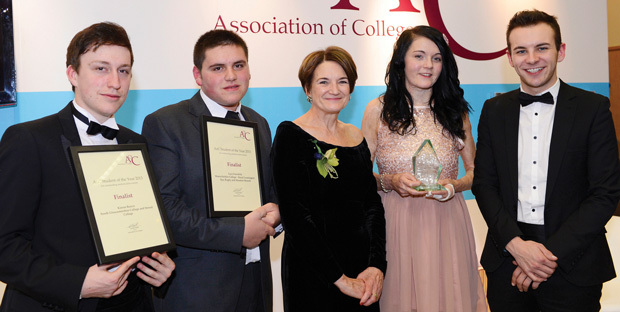 For more on the winners, read the FE Week supplement, sponsored by NOCN, on the Association of Colleges 2013 conference. Click here to download the supplement.